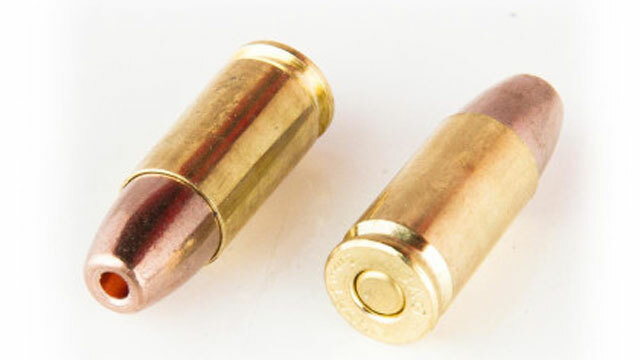 Is Frangible Ammo Good For Concealed Carry? 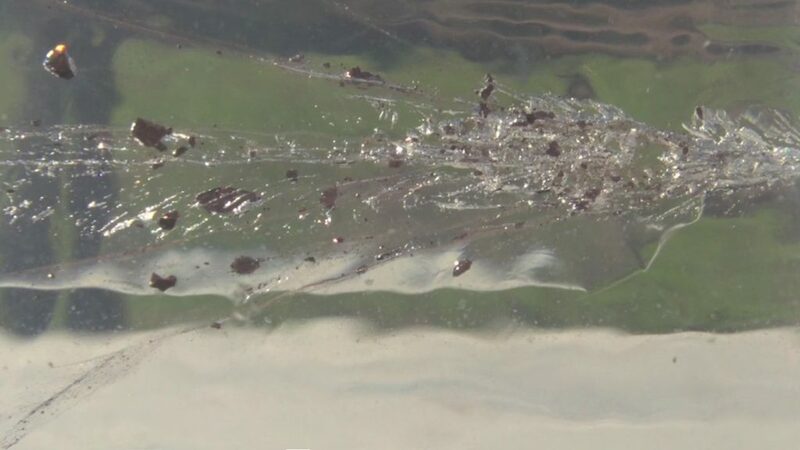 Frangible ammunition, made of pressed powder that can include copper, tungsten, or other materials, has long been considered a niche product for shoot house training. It has the advantage, in training situations, of performing and feeling just like traditional ammo, with the key trait of disappearing into powder when it hits any object harder than itself, most often poured and hardened concrete. Like many other subspecies of the ammunition family, frangible technology and choices have improved by leaps and bounds in recent years. Hollow point choices are now available, and buyers can choose from a wide range of calibers not previously available, including .380 ACP. Though it was a law enforcement rather than a concealed carry event, the 2012 Empire State Building shooting should inspire concealed carriers, especially those living and working in concrete-rich environments, to consider packing frangible. Nine injuries to bystanders occurred that day as a result of ricochets or flying debris. While frangible isn’t considered effective for penetrating automobile doors, a definite need for LE personnel, it’s extremely unlikely a civilian would have the same need. There are many up-sides, and virtually no drawbacks, to carrying “frange” as a civilian. I have personally used three different brands of frangible: Team Never Quit, Allegiance, and Remington. All three cycled perfectly in .380 ACP, 9mm Luger, .40 S&W, and .45 ACP, in an assortment of semiauto pistol brands and types. Based on having seen two catastrophic failures of remanufactured frangible loads in previously well-functioning revolvers, however, I’m not keen on ever using it with my wheelgun. Frangible delivers an unexpected dose of knockdown power. Witnessing gel block demos of Allegiance brand pistol ammunition, I was taken aback by their 9mm load impacting a gel block such that it went airborne and wiggled to the ground! The wound channel associated with traditional ammunition becomes a massive, capillary-like network of narrow wounds, spread out in a much larger pattern than even the best-fragmenting regular bullet, with frangible. Gel block test showing the substantial fragmentation of a frangible bullet. Photo courtesy of Team Never Quit. An encounter with a sizable Western Diamondback, cozied up to my back door and endangering my dogs, was a watershed moment in which I became a diehard fan of frangible. With both wrists recently injured, I wasn’t confident the usual shovel-swing attack would go in my favor. With the snake cozied up on the concrete, close to a glass door, even birdshot was likely to incur expensive property damage. I opted for Team Never Quit frangible HP. A single shot ended the emergency with the only clean-up being snake blood. Now the intruder bore a remarkable likeness to the colonial “Join or Die” flag image. Have no doubt, frangible can wreak severe damage upon solid objects that are not harder than the bullet. Lumber, concrete blocks, and the like bear destruction akin to being struck by conventional bullets. In a watermelon experiment, fired from five yards, the bullet left a one-inch diameter crater as an exit wound—and rendered the flesh inside into mush. No discussion of frangible for concealed carry would be complete without a discussion of the potential advantages from a legal and ethical standpoint. Knowing that you’re carrying a round that will perform well against a threat, while being limited in its ability to cause unintended injury to bystanders, is not only comforting; it shows attention to responsibility for safety. Despite an almost constant watch on news stories regarding defensive gun use, I’ve not yet encountered one that mentions frangible. A downside of this specialty ammunition is its relative scarcity at the local level. Frangible is primarily available through mail order distributors. Lucky Gunner, for example, is an online store that usually has a good selection of frange. It often seems as if I’m the only person carrying frangible for EDC. If you are too, please chime in! 4 Responses to Is Frangible Ammo Good For Concealed Carry? Good question. The intention of civilian use of force, including use of a firearm, is.to stop the attack. Use of a gun as is only legitimate when the threat of death or grievous bodily harm appears to exist. Under those conditions, whether the attacker dies as a result of someone defending themselves is a consequence of their choice to inflict harm on an innocent person(s). @christopher, I’ve no experience with Liberty but that certainly is interesting. The speed is impressive, and the armor-piercing qualities have a place in self-protection. At the end of the day, good shot placement with any ammo beats a miss with the fanciest load!